Ford is currently undergoing $11Bn restructuring that will shrink its salaried workforce of 70,000 workers, while a few jobs will be added in Chicago-area Assembly and Stamping plants. 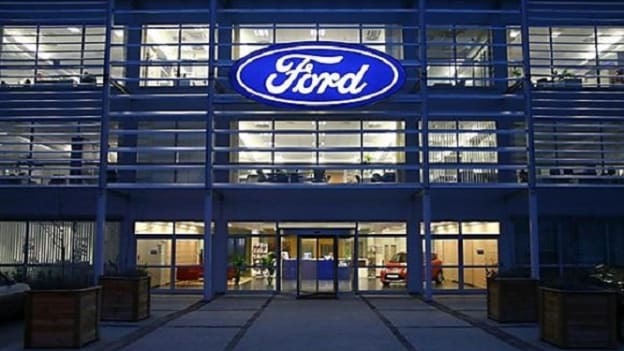 To expand production of the redesigned Ford Explorer and Lincoln Aviator sport utility vehicles, Ford will be sinking $1 Bn and adding more jobs to plants in Chicago area. Under this move 500 jobs will be added at Ford's Chicago-area Assembly and Stamping plants, bringing the total number of employees at the two factories to 5,800. The company will also be building a new body shop and paint shop at the assembly plants and may make major changes to the final assembly area. It is also looking to install some new manufacturing technology, including 3D-printing tools and robots. Further, $40 Mn is being spent to upgrade the facilities for employees, including new LED lighting and cafeteria updates, new break areas as well as parking lot security upgrades. This move of adding jobs in Chicago is aligned with Ford's $11 billion restructuring that will lead to jobs cuts in the overseas market. The automaker is planning to shift its lineup to make more SUVs, crossover-utility vehicles and trucks and away from sedans and sports cars, which have fallen out of favor with American drivers. The restructuring will hence shrink its salaried workforce of 70,000. Not only Ford, but several businesses also have to change their strategy, approach and priorities in the face of a changing industry. To face the challenges of diverging markets, increased digital demands and new requirements for urban and individual mobility, among others, most of the companies in the automotive industry have to revisit and redesign their business strategies. As per a recent study by McKinsey and Company, by 2020, global profits could increase but the benefits will not be distributed equally across all geographies or all types of cars. Instead, some regions and segments will do much better than others. While Europe needs to restructure and adjust its capacity to better match demand; and competition is emerging from China. In the face of these rapidly changing demands, continuous innovation and increased competition how Ford and other companies in the sector capture future growth and find profit from these challenges is to look forward to. Only time will tell which companies struggle and which ones strive the transformational phase the automotive industry is going through.